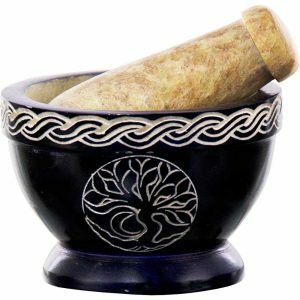 A Mortar and Pestle is a very precious tool used for crushing and grounding food, herbs, seeds and other varieties of herbal and mystical medicines. 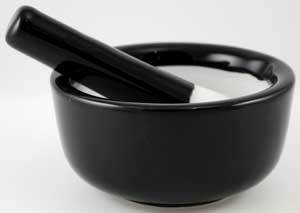 It is recommended to not use the same mortar and pestle for edible and non edible mixtures. Each set is made from soapstone that has been hand carved, painted and polished. 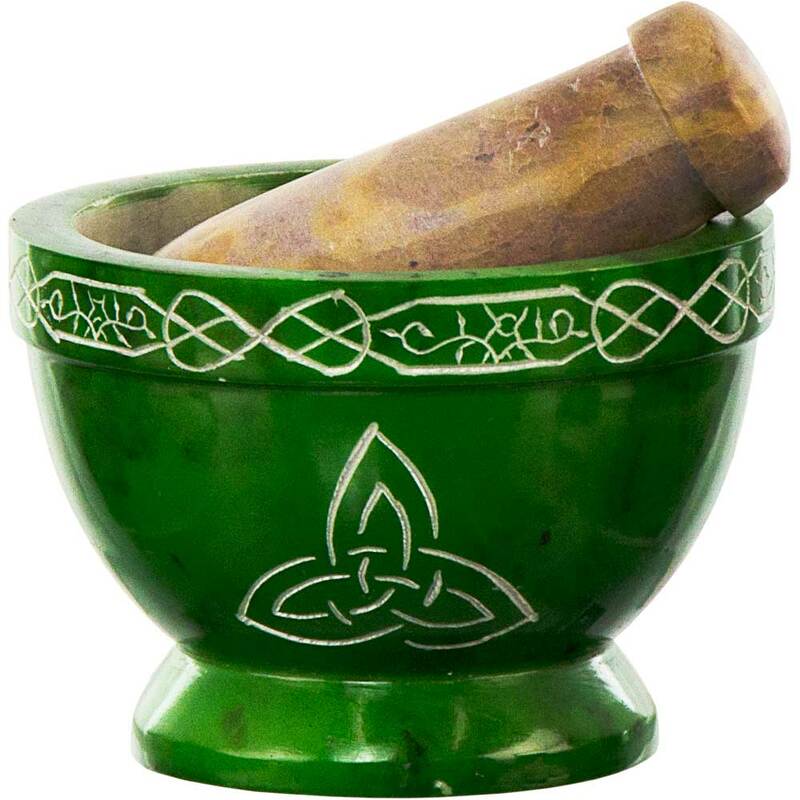 The interior of the mortar has a natural finish. Allow for slight variations & imperfections. 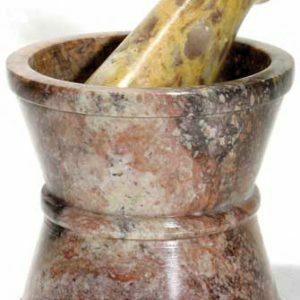 The ancient practice of soapstone carving dates back more than 3000 years. 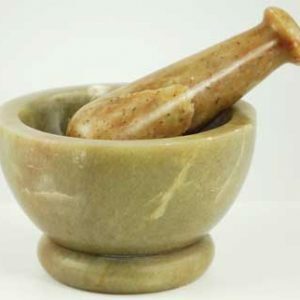 Soapstone, or steatite, is a natural material.